Was that a yawn? Did you get enough sleep last night? If you didn’t, do yourself a favor and read this post. It’s World Sleep Day® and a great opportunity to celebrate sleep because sleep is, well … dreamy! You may already know how important sleep is for your body. Do you sleep 7 to 8 hours every night? I usually have no trouble getting to sleep and I rarely wake up in the middle of the night, though I do have some bad habits like playing games on my phone right before turning off the light. Now, getting out of bed in the morning is a totally different story. I’m not a morning person. Whatever your sleep habits, getting quality sleep and an adequate amount are vital to health, and we’re going to discuss the benefits in this post. Lack of sleep can certainly make one cranky, but it can change more than just your mood. Lose sleep and your blood pressure doesn’t have time to rest, which can lead to illness. Lose sleep and your muscles can’t repair themselves from the day’s activities. Lose sleep and you’ll disrupt the hormones that control appetite. When these get out of balance, so does the temptation to eat unhealthily. You’ll also be more tired and less likely to exercise. Not a good combination. If you’re not getting adequate sleep, or if you’re getting too much, we can help. Fall asleep, stay asleep and wake up refreshed with SleepTrim, and help the body burn calories while you sleep. * Melatonin is released in two stages throughout the night, ensuring continued absorption. A Relaxation Blend of botanicals, including magnesium, L-theanine, passion flower and chamomile, helps the body relax mentally and physically. * Melatonin decreases as we age, making its consumption even more important. Relaxed muscles are necessary for adequate sleep. CalciuMK+ can help by supplying magnesium, a mineral that relaxes muscles but also regulates blood pressure already in normal range. * CalciuMK+ is an excellent source of magnesium, providing 50% of your daily value. GPS Reset, a product in our performance line, encourages restful sleep while enhancing muscle physiology and calorie burning. It supports the release of growth hormone (HGH) which encourages adequate sleep. Think of HGH as your body’s master hormone. It helps to maintain your health as an adult by controlling metabolism, immunity, brain functions, temperature regulation, heart health, organ and tissue growth and more. The older you get, the less your body produces it. Lose sleep and your body loses the ability to produce it as the only time the body releases HGH is when it sleeps. Can’t stay awake? Caffeine and other botanicals might do the trick. Products like PURE Perk, PURE Café, ENERGY, GPS Energize, Matcha Vegan Shake and 360 Complete Shake work in different ways to boost your energy. * Be sure to monitor your caffeine consumption and limit it to no more than 400mg a day. Well, I hope I didn’t put you to sleep. Then again, that might be a good thing! World Sleep Day is an awareness activity of World Sleep Society, founded by World Association of Sleep Medicine (WASM) and World Sleep Federation (WSF). If you’re a student studying for an exam, a professional running a business or someone who has trouble remembering passwords (like me), you might be interested in nootropics — substances that are known to improve cognitive function. Here we’ll focus on natural nootropics which include, but are not limited to, the following. These are naturally-occurring elements from plants that provide mild cognitive-enhancing effects. Racetams – These affect memory, mood, mental agility and focus. Their benefits include increased memory capacity, enhanced mental clarity, greater concentration, increased calmness, better recall of ideas and quicker recognition of patterns. Racetams allow both analytical and creative work to be performed simultaneously. Stimulants – These increase attention and alertness which make concentration easier. Stimulants also make the brain adapt to stress by increasing energy levels, blood pressure, and heart and respiration rates. Nutraceuticals – These are food products that combine the effects of racetams and stimulants to a limited extent. There are many products by PURE that contain nootropics. PURE Perk contains a proprietary blend of nootropics designed to assist with mental clarity, memory and energy. The ingredients PEA, methylliberine, citrus aurantium extract, L-theanine, caffeine and phosphatidylcholine in PURE Perk are all nootropics. ENERGY, GPS Hydrate and GPS Energize contain taurine, a nootropic. The following products contain caffeine, a nootropic. Be sure to monitor your caffeine consumption and limit it to no more than 400mg a day. Nootropics are certainly worth the attention, and beneficial to our attention! However there’s no substitute for getting adequate sleep, exercising regularly, keeping mentally active, eating a balanced diet and avoiding alcohol to optimize brain health. If you drink coffee, what do you like most about it? Is it the way it gets you going in the morning? Is it the rich, satisfying flavor? Or, is it the way it warms you up? What about the fact that it contains chlorogenic acid? Of all of these, the last may be one of the best reasons to drink coffee, in my opinion. Chlorogenic acid, or CGA, is a phytochemical (a chemical that occurs naturally in plants) that is rich in healthy antioxidants. The benefits range from weight loss support to the maintenance of a healthy cardiovascular system. CGA is also responsible for that quintessential, bitter coffee flavor. Coffee naturally contains acids, but CGA, in green and roasted coffee beans, is the most prevalent. In fact, coffee provides a higher concentration of CGA than any other foods. The lighter the coffee, the more CGA it contains. In the CGA group, but not the placebo group, blood pressure (systolic and diastolic) decreased significantly during the ingestion period. There was no difference in body mass index and pulse rate between groups, nor were there any apparent side effects. Thus, CGA from green coffee bean extract is effective in decreasing blood pressure and safe for patients with mild hypertension. PURE Perk is a Barista, dark roast coffee blend that includes Brazilian and Columbian coffee beans. Just one cup provides mental focus within minutes, suppresses appetite and boosts energy for up to five hours. * One serving contains an estimated 150mg of chlorogenic acid and 100mg of natural sources of caffeine. 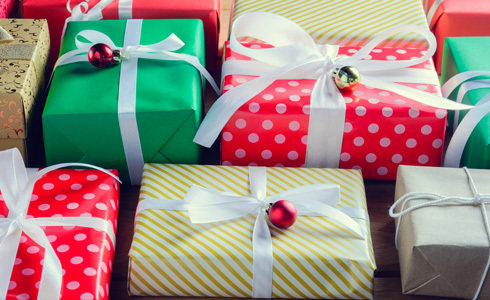 Listen to Darin Blackhurst, Director of Research & Development and Quality and IBO Leslie Forester discuss the benefits of PURE Perk on our PURE Product Spotlight podcast. In addition to our coffee products, Green Coffee Bean is rich in chlorogenic acid; one serving contains 400mg. This product can help maintain healthy blood sugar levels after you eat as well as help maintain healthy glucose levels. * Simply take 2 capsules 15-20 minutes before meals. Always remember that diet and lifestyle always come first when achieving optimal weight loss and overall health. It’s important to limit your caffeine consumption to no more than 400mg per day. Too much caffeine may cause nervousness, irritability, sleeplessness and an occasional rapid heartbeat. Note that PURE Café, PURE Perk and Green Coffee Bean are not recommended for children under the age of 18. 3 Clin Exp Hypertens. 2006 Jul;28(5):439-49. The blood pressure-lowering effect and safety of chlorogenic acid from green coffee bean extract in essential hypertension. Herbs are truly a gift from nature. Not only do they add wonderful flavor to dishes, but they offer many health benefits, including the possibility of cleansing the body of harmful toxins. 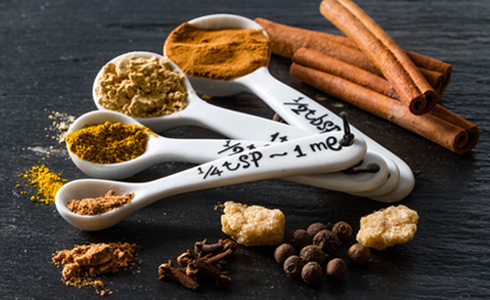 Spices like turmeric, oregano, ginger, parsley and black and white pepper may have cleansing properties. Many of them can be grown in your backyard or indoor gardens. Consider coupling these herbs with your PURE 7-Day or 28-Day Detox meals to take advantage of their cleansing benefits. Turmeric is a plant that comes from the ginger family. It contains a phytochemical substance called curcumin which is yellow in color, and is found in a lot of foods from curry to mustard. Studies suggest that curcumin’s antioxidant properties can support overall health. Daily Build has a Bio-Protection Blend that contains turmeric extract. Add turmeric to soups, rice dishes, vegetables and chicken dishes. Another nice treat is to add 2 teaspoons turmeric, 1 teaspoon ground ginger and a few drops of stevia sweetener to warmed almond milk. Oregano adds flavor to broccoli, tomatoes, mushrooms and potatoes. It tastes great sprinkled on chicken dishes as well. Ginger is considered by many to be one of the best detoxifying herbs. It has been used medicinally for thousands of years for its antioxidant benefits. In fact, it is used in many cleansing programs. The beneficial portion of the plant is referred to as the rhizome, which is the thick underground stem. Metabolic ONE and HealthTrim® Cleanse contain ginger. To benefit from this herb, try infusing finely chopped ginger root in boiling water. Add lemon juice and stevia sweetener for a refreshing drink, hot or cold. Parsley’s unique taste comes from a phytochemical called polyacetylene. This herb contains vitamin C, chlorophyll, beta-carotene, vitamin K and folate, which may be used by the body for detoxification. Finely chop parsley and add it to a salad or use it in pesto. Parsley can also be added to juices or smoothies. Black and white pepper are great flavor agents. They are made from the Piper-nigrum plant. Black pepper is ground from dried, whole, unripe fruit. White pepper is ground from dried, ripe fruit that has had the outer layer removed. Black pepper may help digestion. Black pepper increases your hydrochloric acid secretion, which is necessary for the digestion of proteins and other foods within the stomach.2 Daily Build, PURE Café, Green Coffee Bean and Metabolic ONE all contain black pepper extract. Detox Pack – This combination of herbs and botanicals effectively helps facilitate the removal of toxins from the body while supporting your weight loss journey during the 7-day and 28-day detox plans. Detox Plus Pack – This pack was created with two in mind. Grab your weight loss partner and get ready for success! Probiotic – Following your cleanse, use this formula of pro- and prebiotics to help foster beneficial bacterial growth and help maintain a healthy digestive system balance. Order your products by PURE today and start enjoying overall health and wellness. Pull up a chair and make yourself a delicious cup of PURE Café. Fall is here, my favorite season! We’re excited to debut our limited-edition PURE Café Pumpkin Spice flavored coffee drink just in time for the season. Sipping on your favorite coffee is a treat any morning, but I especially enjoy my cup o’ Joe when the temperatures start to dip. I love holding a warm cup while picking out pumpkins or accompanying my child as they walk the neighborhood on Halloween. The smell of coffee elicits good feelings any time of the day. Just as coffee casts a trance on our senses, so does the season. The air turns crisp and comfortable. We can pull on a comfy sweatshirt at the football game. The leaves start changing to beautiful reds and yellows, turning our world into a colorful palette. We start adding cinnamon, clove, and pumpkin spice to things like soups, teas and cookies which make our homes smell warm and cozy. Add to that a crackling fire in the fireplace, and the mood is set. This delicious blend of pumpkin, cinnamon and clove stirs up that fall feeling and just warms the heart. If you are a coffee lover, and lover of the season, you’ll fall for this new flavor. It’s the perfect seasonal drink to accompany a slice of pumpkin bread or warm apple pie. To enjoy PURE Café Pumpkin Spice, simply add one packet to 4-6 fl. oz. of hot water and mix well. Use every morning to help curb hunger. It’s delicious hot or cold. 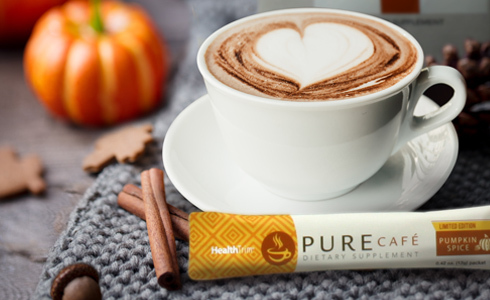 Order your limited-edition PURE Café Pumpkin Spice today and savor the flavor of fall! 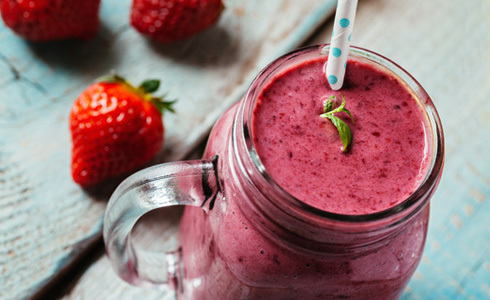 To help you on your journey, we’re sharing the following recipes that are easy to make using products by PURE that are part of the Detox Packs. These are delicious and nutritious ways to experience Whole Health and support you on your detox journey. Simply blend the ingredients together and enjoy! Seasonal tip: Want a festive fall twist on this recipe? Use the Limited-Edition PURE Cafe in Pumpkin Spice! Our bodies naturally remove toxins through seven channels of elimination. Carefully selected products by PURE help this process by nutritionally supporting the body’s natural health-maintaining processes. Follow the program for seven days, or if you desire a deeper detox, continue with the 28-day program for additional results. You’ll create sustainable habits and experience life-changing results. You’re on your way to a lifestyle of Whole Health. Detox Pack — This combination of herbs and botanicals effectively helps facilitate the removal of toxins from the body while supporting your weight loss journey during the 7-day and 28-day detox plans. Detox Plus Pack — This pack was created with two in mind. Grab your weight loss partner and get ready for success! Probiotic — Following your cleanse, use this formula of pro- and prebiotics to help foster beneficial bacterial growth and help maintain a healthy digestive system balance.